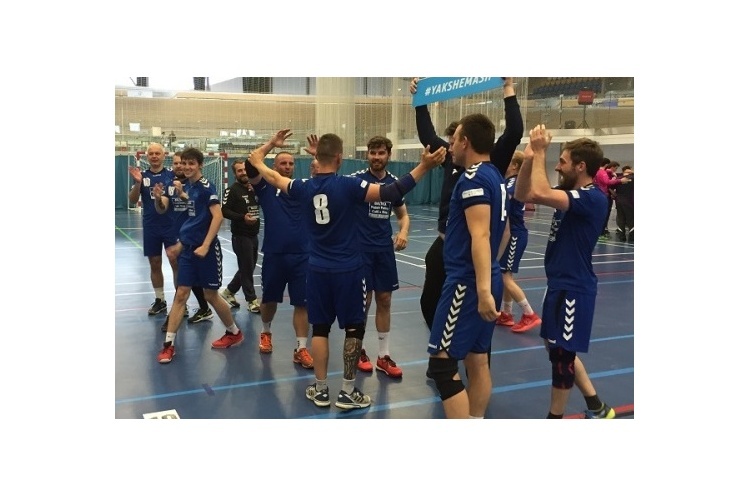 Brighton Seahawks beat West London Eagles to win their second straight game in the Mens’ Premier Handball League, while NEM Hawks ran out victors in the North West derby against Warrington Wolves. Leaders London GD were pushed hard by Nottingham, while second-place Olympia lost to Cambridge. Brighton trailed 12-15 at the break, but fought back in the second period to claim a 25-22 victory. Levante Novaki and Albert Sanchos Balsells both scored eight goals for Brighton, while Goncalo Trancoso netted seven times for Eagles. Brighton remain bottom, but have a game in hand on seventh-place Nottingham – who they trail by two points. Eagles are in sixth. 10 goals from Charlie Fletcher and eight strikes by Harry Morley helped NEM Hawks to a 36-25 win against Wolves. Ryan Thomas beat the keeper six times for Warrington, while Ollie Tyler scored five. Wolves remain in third, but Hawks – in fourth – are just two points behind with a match in hand. GD edged past Nottingham 30-29 in a nail-biting encounter. Nottingham held an 18-16 advantage at half time. However, GD showed their resolve to turn around the deficit after the break. Nottingham’s Francisco Pereira was once more among the goals as he found the back of the net 12 times. Dan Terracina top scored for GD with seven strikes. Alejandro Garcia Costa scored nine goals as Cambridge defeated Olympia 39-31. Alex Mallet was on target 11 times for home side Olympia. Olympia, with 22 points, trail GD by two points, having played a match more than their London rivals, and Wolves in third, who sit a further point back. Cambridge are in fifth on 18 points.